A week after R3 announced that Corda would be made open source and folded into Hyperledger, Chain, a provider of Blockchain technology solutions, has decided to release Chain Core Developer Edition, a free and open source version of its distributed ledger platform that enables organizations to issue and transfer assets on permissioned Blockchain networks. 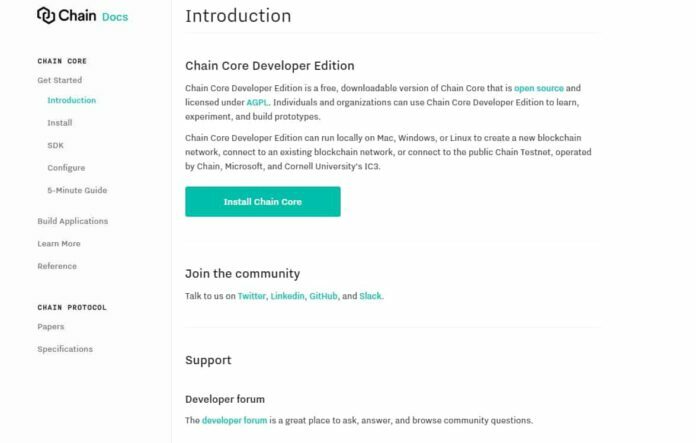 For the first time, developers can download and install Chain Core to start or join a Blockchain network, build financial applications, and access in-depth technical documentation and tutorials. Users have the option to run their prototypes on a test network, or “testnet,” operated by Chain, Microsoft, and the Initiative for Cryptocurrencies and Contracts (IC3), a collaboration of Cornell University, Cornell Tech, UC Berkeley, University of Illinois at Urbana-Champaign, and the Technion. Chain Core Developer Edition is the product of a deep, multi-year effort between Chain and leading financial firms to build Blockchain architecture that maps to the use cases of the financial industry. Chain Core Enterprise Edition, the company’s production platform, is already being leveraged to launch innovative products by market leaders across the payments, banking, capital markets, and insurance industries. 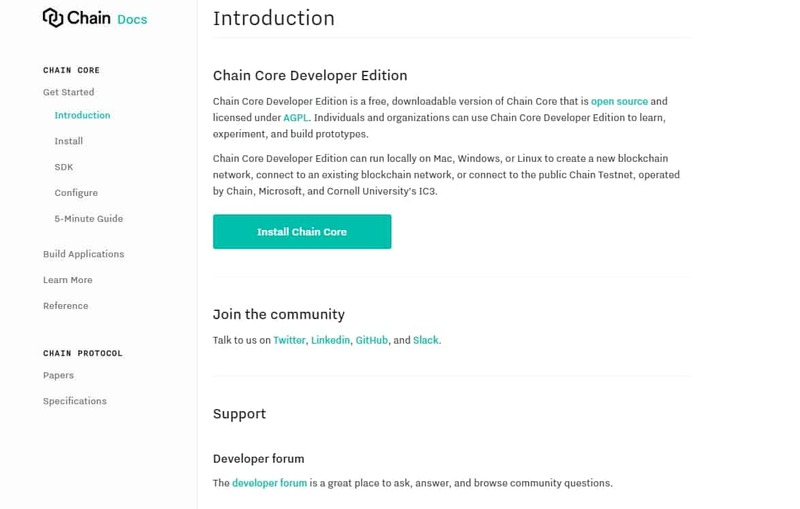 Chain Core Developer Edition comes with a Java SDK, code samples and getting started guides, as well as installers and a dashboard interface for Windows, Mac, and Linux. In addition, Chain today published the complete technical specification of the Chain Protocol (formerly known as the Chain Open Standard) as well as a summary whitepaper. The Chain Protocol is the underlying cryptographic protocol, authored and maintained by Chain, that defines the data model, validation rules, and consensus mechanism implemented in Chain Core.